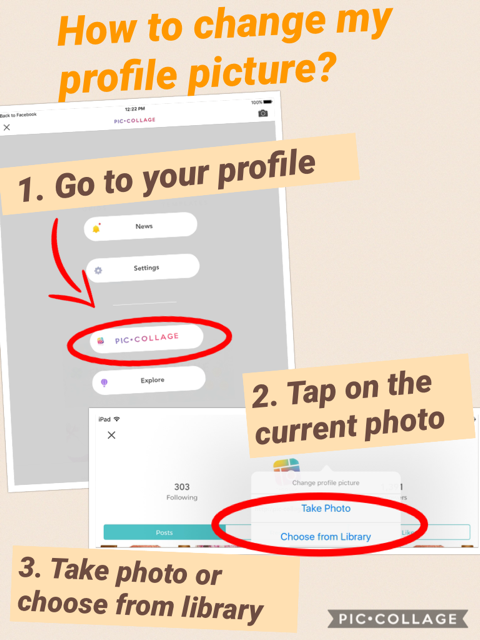 To change your profile picture, please go to your Profile, and tap on the current profile picture. There will be two options for you: (1) Take Photo (2) Choose from Library/Gallery. You can choose either way to change your profile picture.